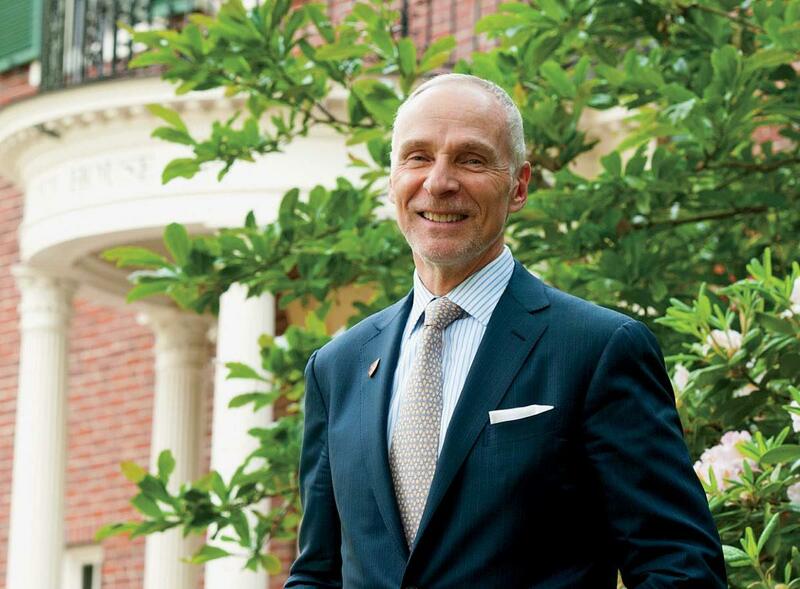 The Harvard Alumni Association (HAA), says new president Martin J. Grasso Jr. ’78, offers “the luxury of staying in the conversations we had as undergraduate and graduate students with the most interesting and intellectually stimulating people we know.” The Boston-based CEO of Pearl Street Capital Group began his one-year term July 1, taking over from Paul L. Choi ’86, J.D. ’89. The HAA includes 330,000 alumni worldwide, and coordinates clubs, SIGs, and class reunions, along with educational trips, online learning, international gatherings, and opportunities for professional and social networking. The HAA also harnesses the power and talents of scores of alumni volunteers who serve on committees, help put on Commencement, recruit and interview applicants for admission, produce class news and notes, and otherwise keep classmates engaged in University life. Grasso’s also grateful to his parents’ teachings: the effective and “cheery nature” that his mother, a homemaker, brought to volunteer civic work; the way his father, a postal worker, gas-station manager, and World War II veteran, exemplified “the value of a job well done by somehow dignifying even the most menial of tasks.” Both still influence his approach to life and work.